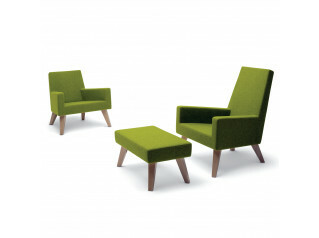 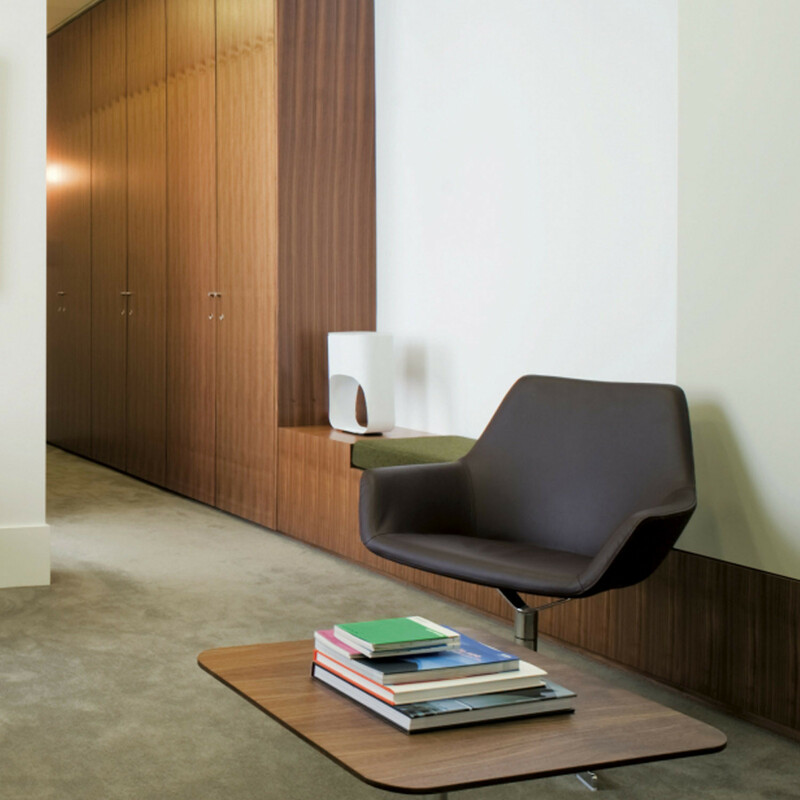 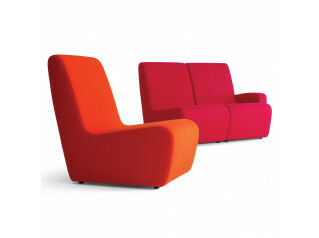 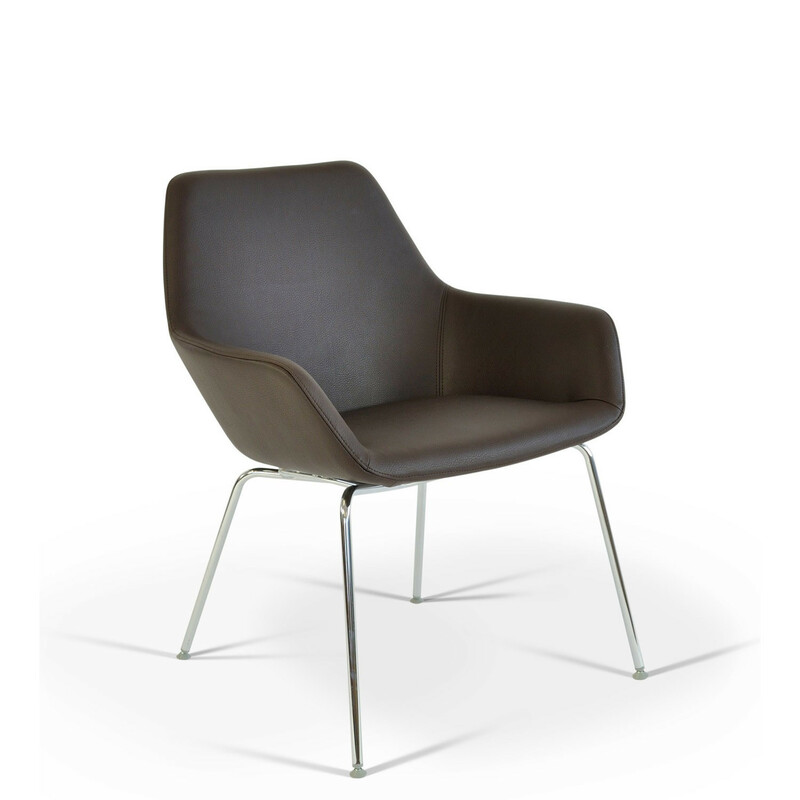 HM86 Chairs are available as an armchair with low- or high-back, as well as a compact low back sofa. 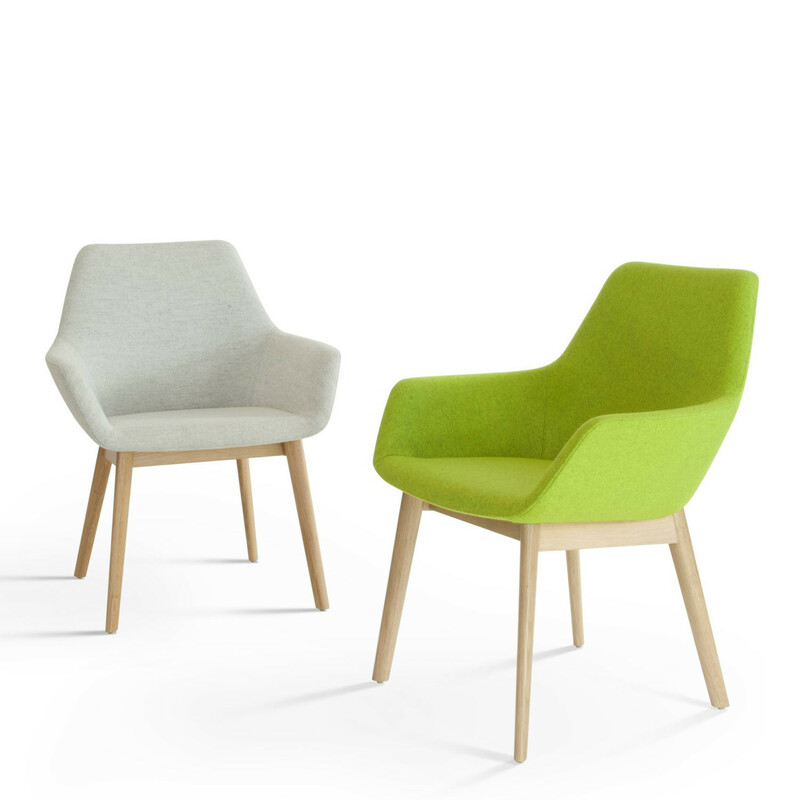 Moulded in high-density CMHR polyurethane foam on a steel frame with sprung seat, Simon Pengelly's versatile HM86 Chair family is available on either a self-centering swivel base in matt grey or polished chrome finish, or on chrome-plated tubular steel legs. The steel leg version is also available in a dining chair version. 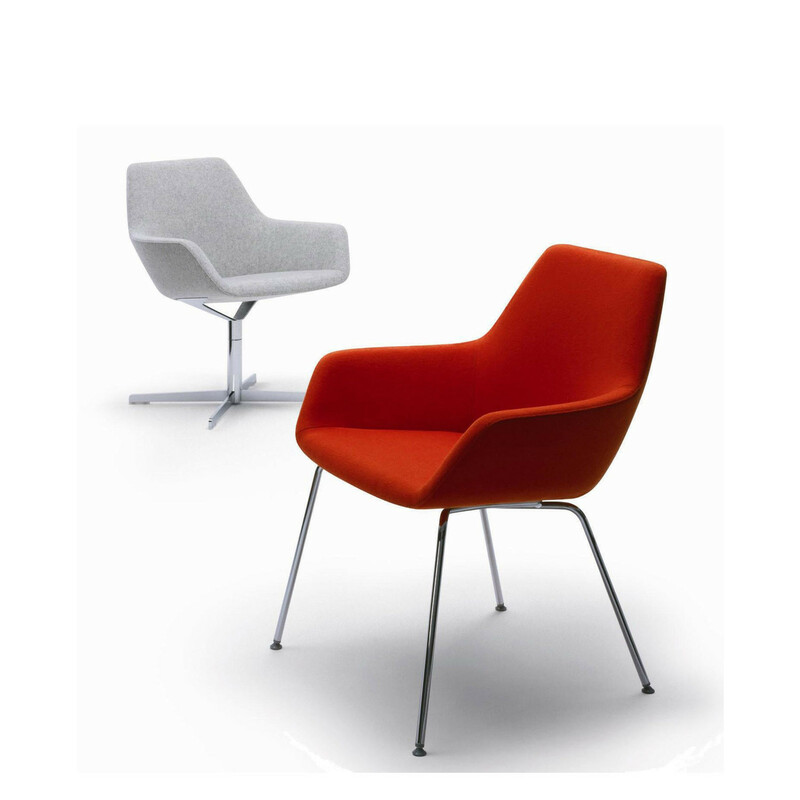 Following testing at the FIRA institute, the HM86 Armchair has passed the BSEN 15373/2007 Test Level 3, and BSEN 1022:2005 tests. 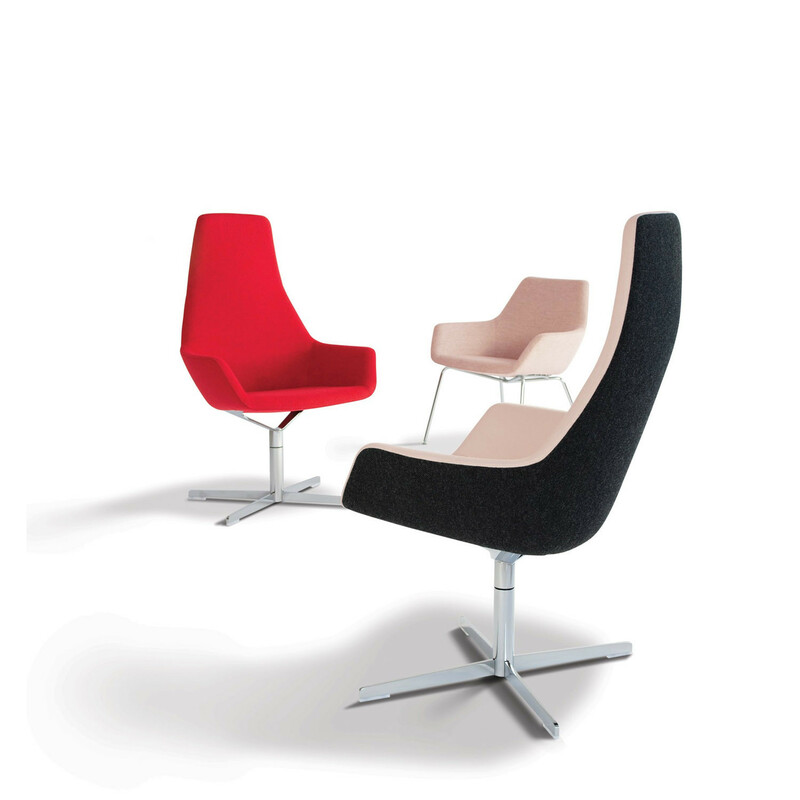 This means that it is "structurally suitable and sufficiently stable for severe contract use." 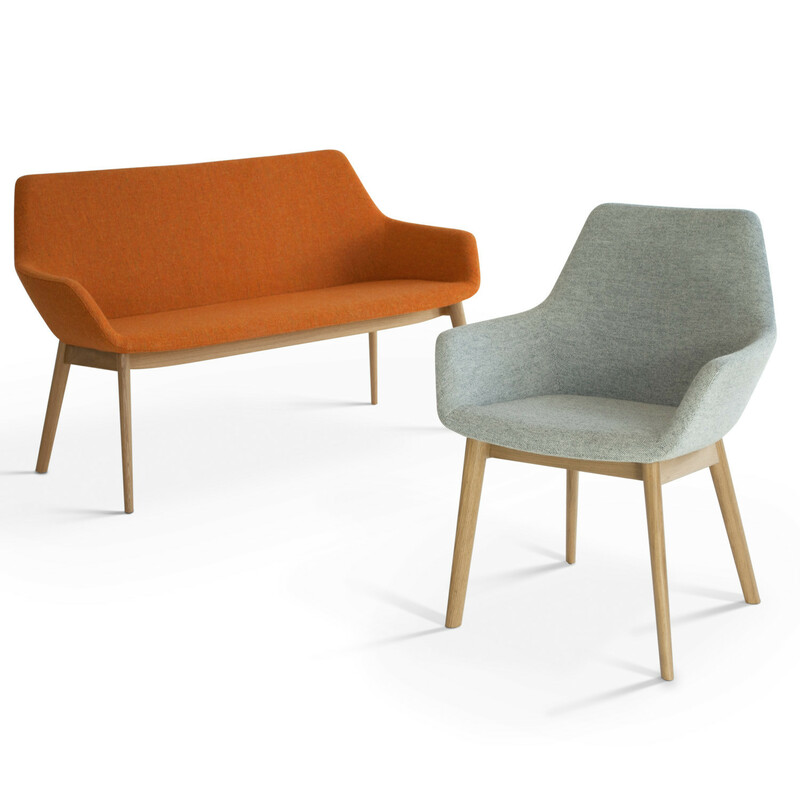 Available in wide choice of fabrics and vinyl, Hitch Mylius HM86 Seating can have inside panels upholstered in supply Scandanavian leather, with outer panels in a complementary wool fabric. 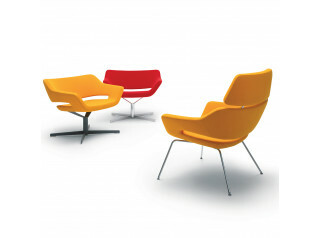 Base options: 4-star with swivel, 4-legged (steel or wooden) and sled base. 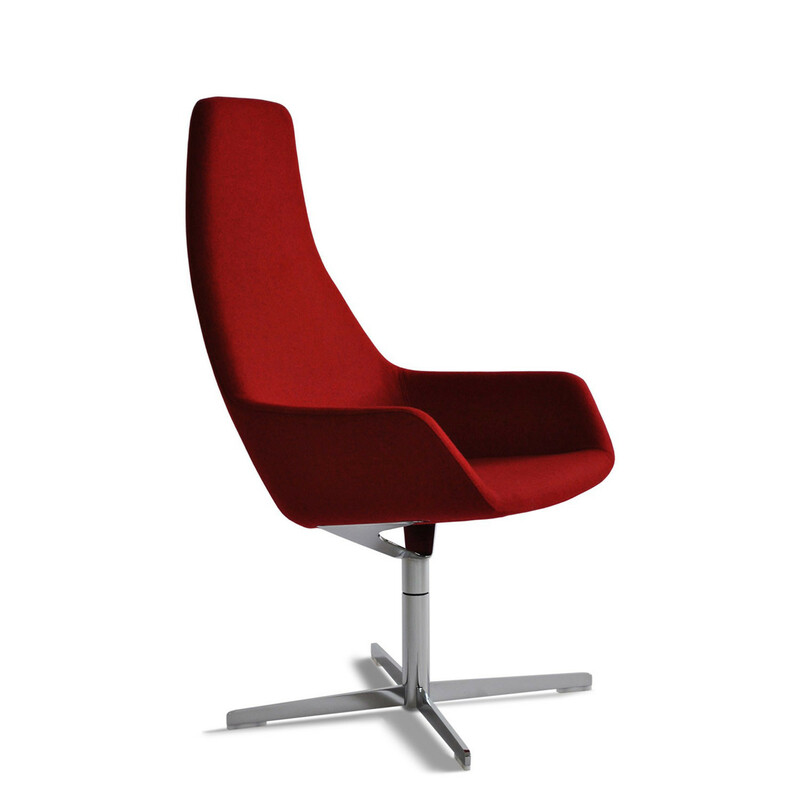 Dining chair seat height: 485mm. 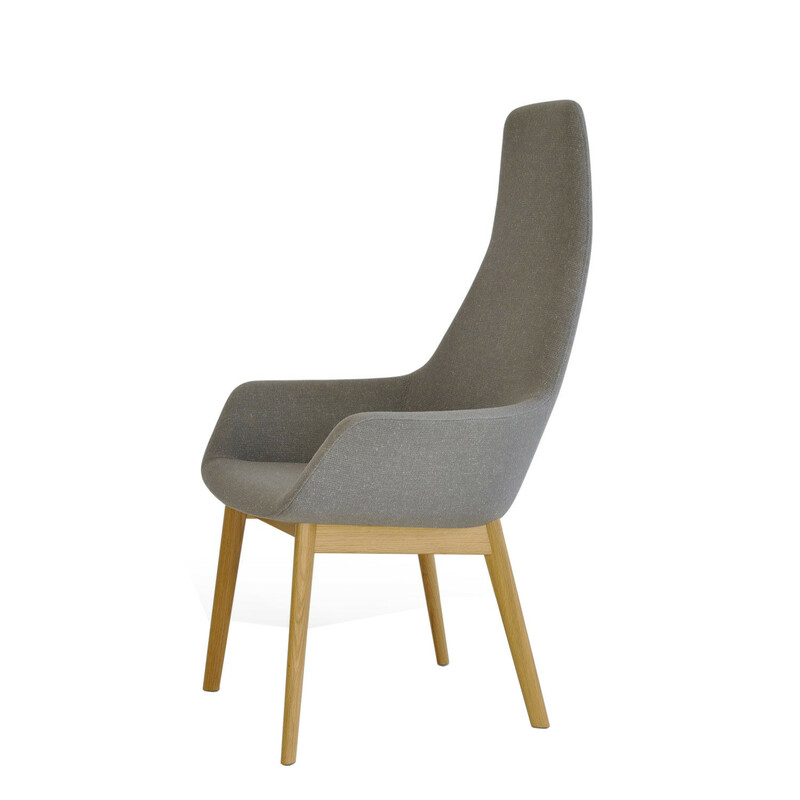 You are requesting a price for the "Hm86 Chairs"
To create a new project and add "Hm86 Chairs" to it please click the button below. 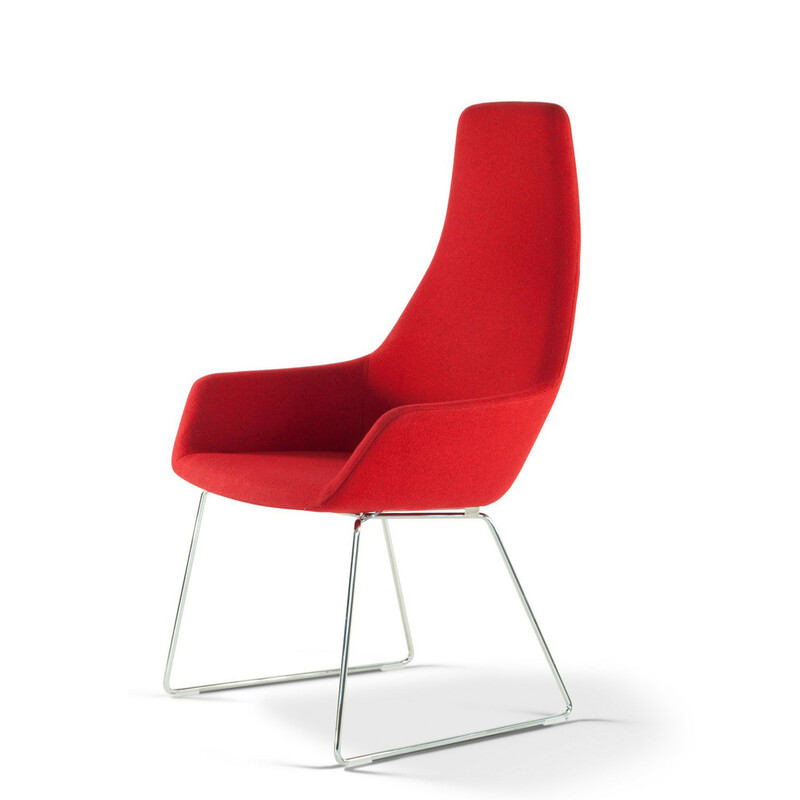 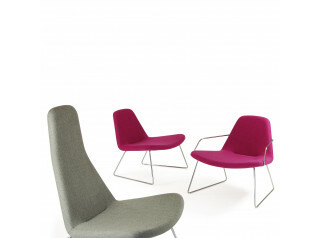 To add "Hm86 Chairs" to an existing project please select below.